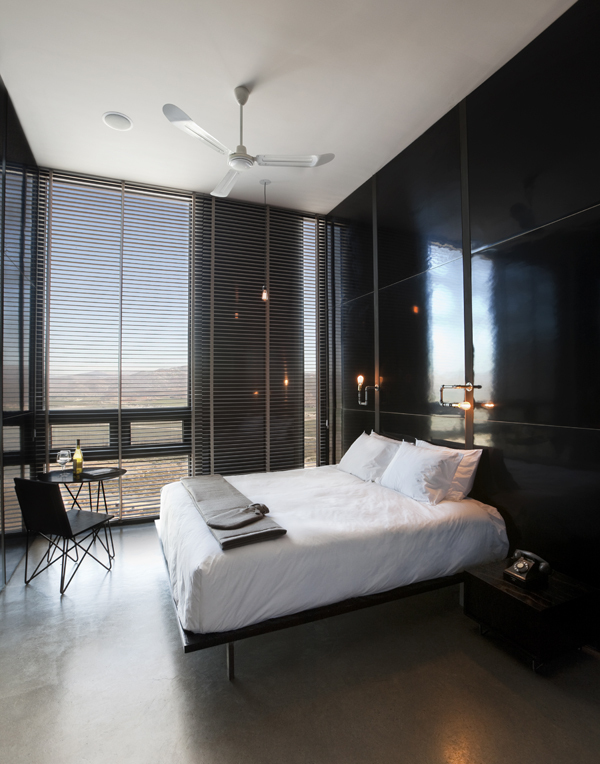 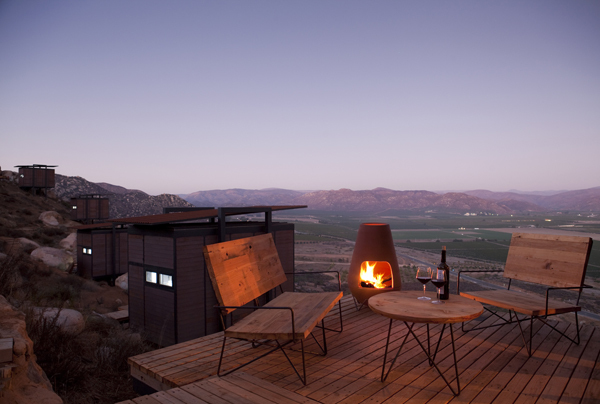 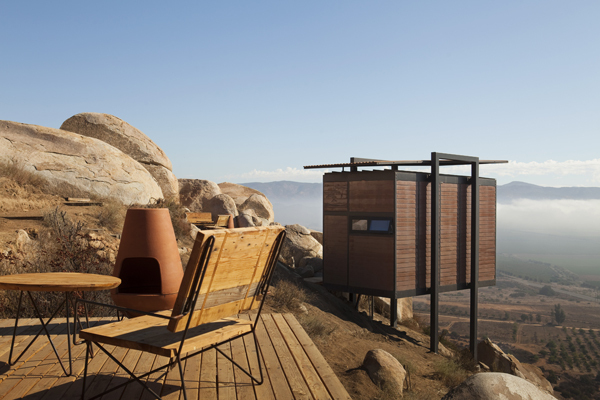 Hotel Endémico is on a hillside overlooking the Valle de Guadalupe in the Baja wine country. 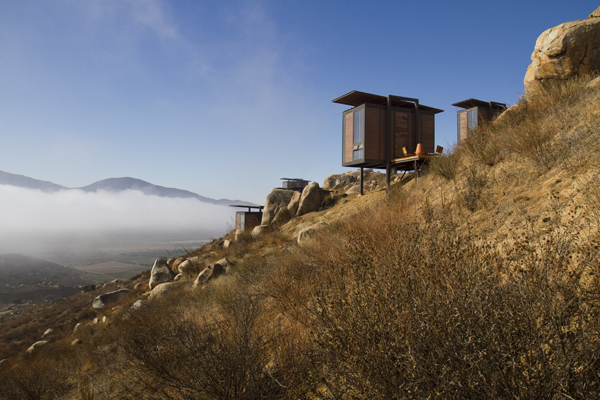 It exists by twenty hyper-modern freestanding “EcoLofts,” pod-like villas elevated on stilts a few feet above the desert floor. 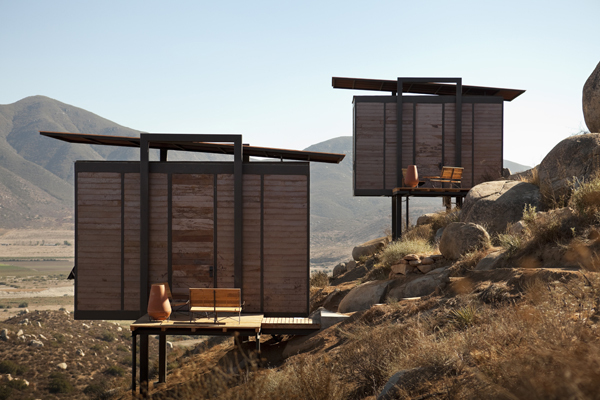 From the outside they’re almost comically minimal, simple wooden boxes with rakishly angled roofs. 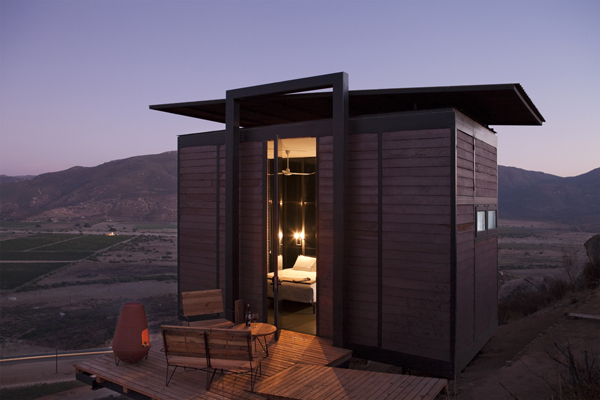 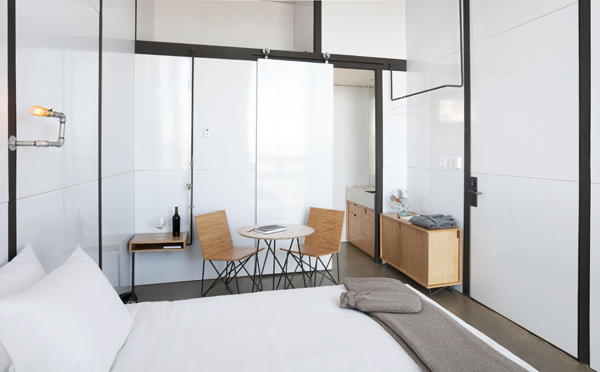 From the inside they’re impeccably styled, compact luxury bedrooms with dramatic views.